Thanks for your question, with this HP 49A Toner Cartridge you will receive approx 2,500 pages based on a 5% coverage. What is the shelf life of an unopened HP Laserjet 1160 toner cartridge? Thank you for your question. If stored correctly in a cool dry place a LaserJet 1160 toner cartridge should be fine for up to a year. We wouldn't advise keeping a cartridge in stock for any longer than that. Here at Cartridge Save you'll never find any cartridges other than high quality toners. Purchase at Cartridge Save and take advantage of the huge collection of inexpensive toners for LaserJet 1160 laser printers! Our company is really passionate about delivering exceptional value and first-rate customer support. Save some cash here at Cartridge Save thanks to totally free delivery. Should you place an order today, it would be delivered tomorrow. You can get total peace of mind when you order with us courtesy of the rock-solid cash back promise. In case you come across issues with your HP LaserJet 1160 laser printer cartridge inside 12 months after purchase you just need to send it back to us to get your total money back. Buy in 100% confidence at Cartridge Save. The HP LaserJet 1160 is a basic monochrome printer that will work well in a home office setting where space is a concern and an economical model is needed. It features 16MB of RAM and is able to hold a half ream of paper. For the person looking for a basic and compact economical printer, the 1160 is a wise choice. 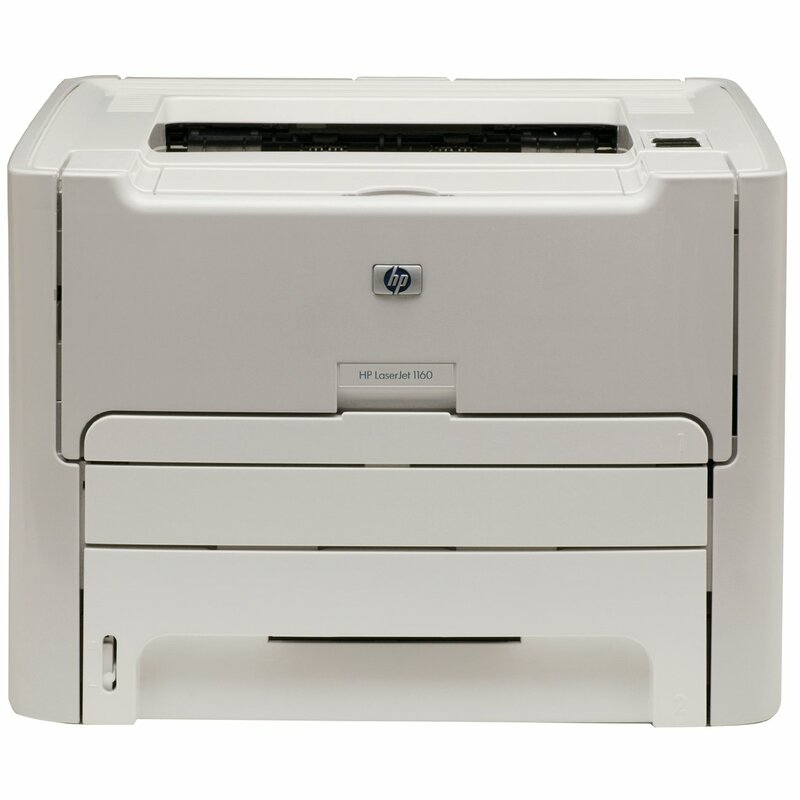 The look and design of the 1160 is similar to other HP models. It is grey in colour and is a basic cube shaped printer. The paper tray is enclosed, so this will not protrude beyond the body of the printer. This is a good feature for the cluttered desk. The 1160 is a very straightforward printer that is perfect for the person for a no frills model. The HP 1160 toner is easily accessible from the front panel, and there is a tray where envelopes and other media can be fed manually. There is also a one year warranty that is included from the manufacturer. Software is included with the model and there is a economy mode in which the HP 1160 toner prints a reduced amount per page which can lengthen the life of the supplies. This particular model is not able to be networked unless it is attached to a print server. It is also not able to do duplex printing. For larger print jobs, the basic amount of RAM may not be sufficient and could cause long delays before the printing is loaded.